With three players within two shots of the lead and a crowd of 3,500 bursting at the seams with every crushing drive and flawless upshot, the environment for yesterday’s final round of the European Open in Nokia, Finland, was not for the faint of heart. Even three-time tournament champion Paul McBeth — he of four PDGA World Championships and “McBeast Mode” fame — wasn’t immune to the setting. 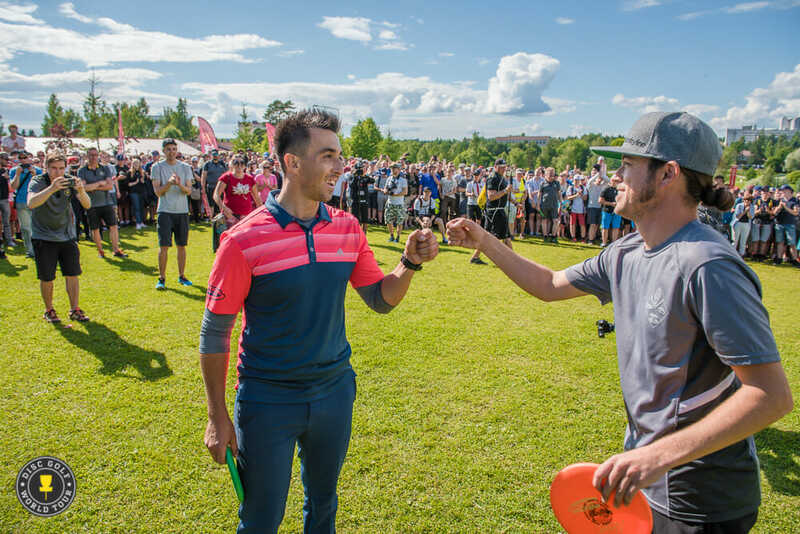 That included McBeth himself, as the newly minted four-time European Open Champion needed every hole on The Beast to complete his comeback, taking Gregg Barsby down to the final green on the way to a one-shot victory. McBeth saved his best performance of the event for last, with his final round 12-under par 52 bringing him to a 37-under par 219 total and netting him $5,000 in prize money. Barsby’s 9-under par 55 left him in second place with a 36-under par 220 and a $3,000 payday. The win was the 12th PDGA Major of McBeth’s career, with seven of those coming outside the United States. He averaged 1052.5-rated golf during the four-day event, highlighted by a Sunday showing that clocked in at 1067. Simon Lizotte’s 6-under par 58 final round brought him to a third place finish with a 32-under par 224, while Nate Doss’ 31-under par 225 was good for fourth place. Eagle McMahon, who ended the tournament’s first round in a tie for 51st place, rounded out the top 5 with a 28-under par 228 total after 72 holes. Though it was McBeth who again stood atop the podium, it was Barsby who made the first moves toward a final round flourish. The Northern California pro, nursing a one-throw lead over Lizotte and two over McBeth and Doss, landed in the three-meter bullseye off the tee on hole 2 for an easy birdie to add a stroke over McBeth, who went out-of-bounds but saved par with an outside-the-circle conversion. The pair traded birdies on holes 3 and 4, then Barsby took a stroke on the card on hole 5 with a forehand drive that skipped to within 20 feet of the basket. Indeed, McBeth’s upshot on hole 7 — a floating Nova approach from a knee that put him in tap-in range — kick-started his first three-birdie run of the day. At the same time, Barsby hit the skids. He misfired his hole 7 drive left and hit a tree, leaving him to settle for par, then clanged his attempt for deuce on 8 off the top band. While McBeth put a skipping forehand Destroyer shot on hole 9 within 20 feet, Barsby left too much air under his drive and it was batted down by some branches. Just like that, Barsby’s four-shot margin was down to one. Undeterred, Barsby bounced back. After a long drive on hole 10 left him stuck behind some trees, he laid down a beautiful forehand roller approach that curled to 15 feet from the pin. McBeth missed his birdie attempt low, and Barsby had the gap back up to a pair of strokes. That cushion quickly evaporated on hole 11, though. First to tee, Barsby’s drive faded short and into a marshy patch of OB. His attempt for the par save glanced off the top of the basket, while McBeth connected on his second putt of the day from beyond 30 feet — this one was from roughly 45 — for a two-stroke swing that tied the score. From there, Barsby found the form he entered the round with, rattling off five consecutive birdies on the back of five straight green hits in regulation. McBeth took four birdies in the same stretch — his attempt for 2 from the woods of hole 14 skimmed off the lower right side of the chains — and Barsby clung to the lead heading into hole 17. And that’s where midnight struck for this Cinderella story. Barsby missed a putt from 50 feet wide left, while McBeth converted from 20 feet with a fist pump to tie the score. Heading into 18 knotted up at 36-under par, Barsby’s forehand drive came out of his hand early, hit a tree, and landed out of bounds. The veteran, though, went down swinging. He put his long approach to within 55 feet of the pin, then hit a huge jump putt to save par. McBeth, whose approach landed 28 feet out, was forced to convert his putt on the elevated basket for the win. With his back foot placed just inside the white OB line, he gave his signature toe dig in the turf, pulled the putter down to his knee, and drilled the winner into the center of the chains. Conversions like those were what McBeth said powered his performance. He made 93 percent of his attempts inside the 10-meter circle during the European Open’s four rounds and added six from long distance. Clearly rounding into his 2015 putting form, McBeth wondered aloud about what might have been had he been on point at 2017’s two previous Majors. For Barsby, the finish matched his career high at a Major, which took place back in 2008 and 2006 at the Players Cup. He missed most of 2015 while nursing an elbow injury, and a showing of this magnitude after a long road to recovery had him reflecting on his good fortune. The rest of the top 10 was mostly comprised of household names. 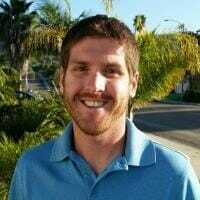 Paul Ulibarri played all four rounds above his rating en route to a 27-under par 229 finish that put him in sixth place, while Ricky Wysocki recovered from some early-tournament struggles with an 11-under par final round to move into seventh place with a 26-under par 230. He shared that position with Nate Sexton, whose score improved in each of the event’s four rounds as he returned to tour, and Finnish pro Väinö Mäkelä, who was playing in only his second career Major. Eleven-time Danish Champion K.J. Nybo took home tenth place with a 25-under par 231 showing. 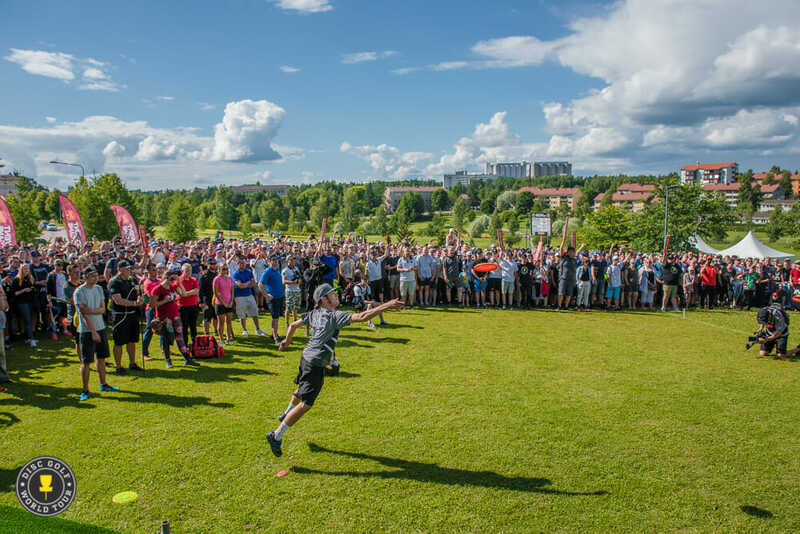 In addition to his four European Open titles, McBeth also boasts hardware from the 2015 Scandinavian Open, the 2014 European Masters, and the 2013 Copenhagen Open. And he lavished praise on the Finnish crowds that have seen him enjoy so much success over the years. McBeth also said that the size of the crowds portend positive growth for the sport as a whole. 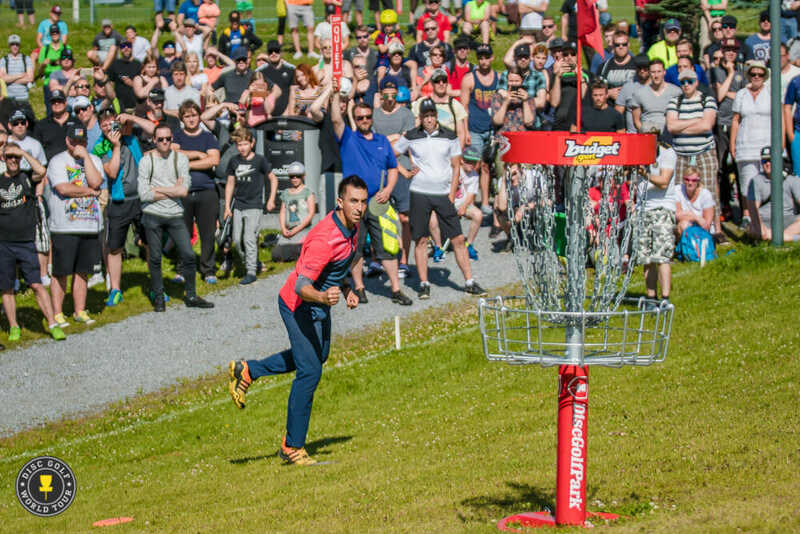 Comments on "McBeth Ousts Barsby In ‘Nerve-Racking’ European Open Final"